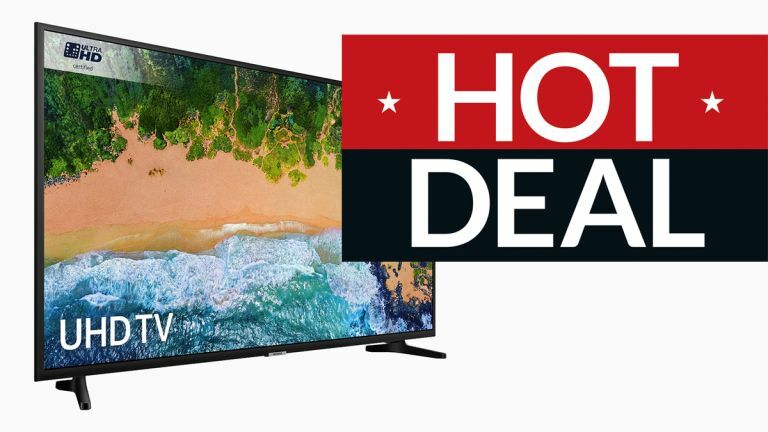 You've got no shortage of Black Friday TV deals to pick from this weekend if you're wanting to get the latest television tech for less, but we've come across what might just be one of the best deals of the lot at Currys: the Samsung UE43NU7020 for £329, which is a whopping £220 off. If you're looking to kit out a smaller or mid-sized room with a 4K TV then this 43-inch beauty from Samsung fits the bill perfectly. It comes with Samsung's Smart Hub software on board and two HDMI ports to make use of. Whether you're playing a Blu-ray disc or streaming the latest 4K content from Netflix, the Samsung UE43NU7020 should ensure a bright and clear picture every time. At this sort of price it would be rude not to make an investment. Deals keep on appearing across Black Friday weekend so remember to keep checking back for all the latest prices and the biggest discounts on the tech you need in the run up to Christmas.